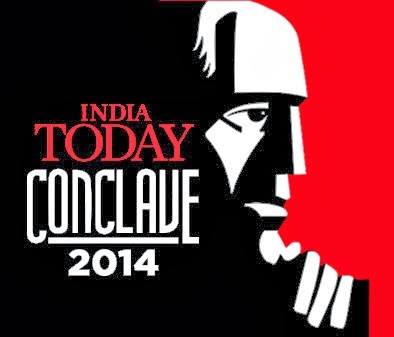 Winning is the theme of the latest edition of the India Today Conclave, the country’s best known global thought platform. The festival of ideas brings forth winners and visionaries from every walk of life, who come forward to share their human experience to make the world a wiser and brighter place to live. The past 12 Conclaves were widely acclaimed for the quality of thought and discussion. Through this article, I am going to share my own thoughts on winning. I believe that there are no shortcuts to winning. If you do not have a clear-cut strategy drawn out on a chalkboard and if your efforts remain substandard, it will be hard if not impossible to experience winning. A lot of people emphasize on winning alone, forgetting that regardless of the outcome, you’ve got to try first. Pour your heart and soul into whatever it is that you’re trying to win. Contrary to popular belief, the road to winning can be long and uncertain. As part of the journey, you must encounter and experience pain, frustration, and loneliness. Even if you are not guaranteed of a win, you will still be able to cover enough ground through your hard work and effort. Remember that the roadblocks you may encounter are there for a reason. If you want something badly enough, you have to try a lot harder than those who don’t. Do not allow your personal challenges to bring you down in your quest to win. When the going gets tough, don’t whine or give up; instead, just work harder! Jack Roosevelt “Jackie” Robinson, the first African-American to play in Major League Baseball, never complained … even if the fans spit on him. The bottom line is you can spend your time cribbing or playing like a pro. The latter is likely to be more effective. Talk of women’s figure skating and there isn't a better contender than South Korea’s Yuna Kim. As a brand ambassador for the sport and the Olympic Committee in Korea, she was touted as a clear favorite to win gold at this year’s Sochi Winter Olympics. This was supposedly her final outing before retirement. Unfortunately for Yuna, her dream of winning back-to-back Olympic gold medals was dashed by Russia’s 17-year-old Adelina Sotnikova, who handed over one of the biggest upsets in the history of the sport. Only Sonja Henie and Katarina Witt have accomplished the rare feat. Kim, the sport that she is, stood relieved that her illustrious figure skating career was over. The learning is: you can’t win them all. Sometimes you may have to sacrifice your personal goals or accomplishments in the larger interest of the team. You can’t win alone every time. Absolutely right. Keep walking till you succeed; strengthen from failures & never give up. Well said! All the best for the contest!